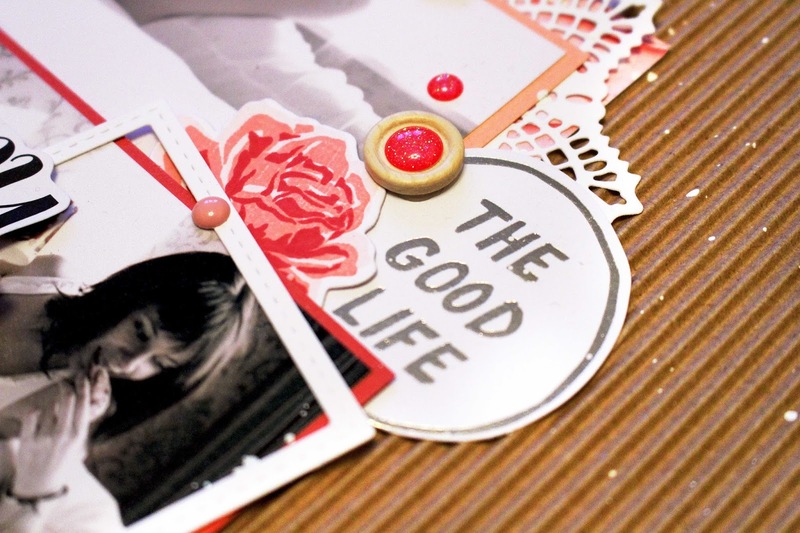 Hey there it Treasa with another Project Life Kids post. Today I will be sharing a video of me and my granddaughter creating a couple cards to show her love of Minecraft. 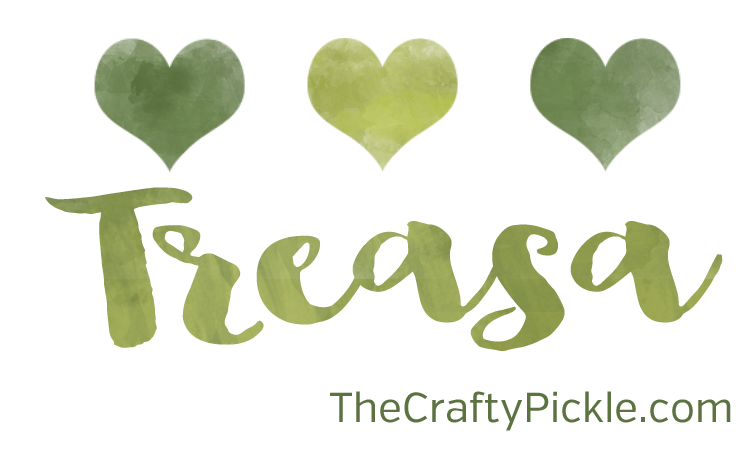 Hey there it Treasa with another Project Life Kids post. I created a file pocket to kind of represent the files kept in the cabinet at school and added some of the star washi tape from the shop to the front of the file pocket. 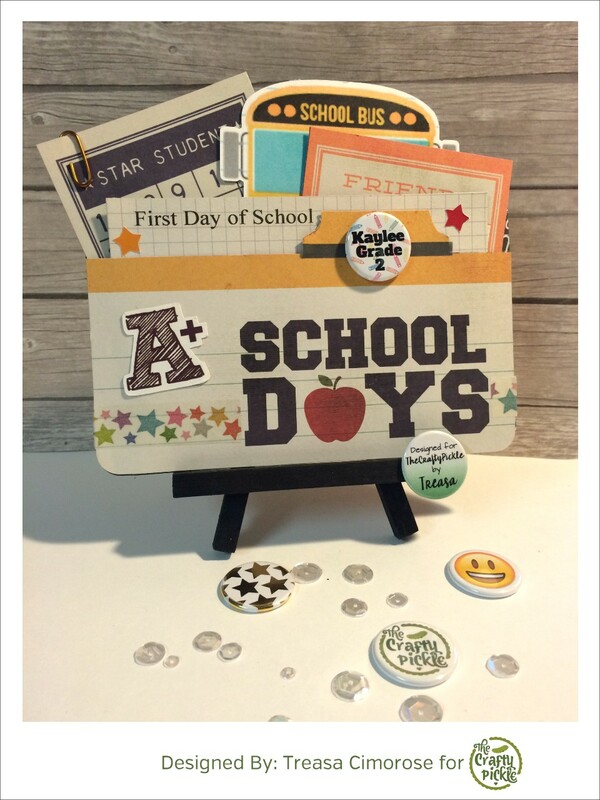 I added a card that says Star Student, this will be a place to put her first day of school photo on. Then I added a Friends card for her to add her friends names. I also used some of the new star and heart Sticky Pickle Spots from the shop. And then on the bus die cut I put her bus number. Finishing it off I used the personalized flair from the shop that says “Kaylee Grade 2”. I have to say that Kaylee loves contributing to my memory keeping in my PL album and it definitely it more personal to me. 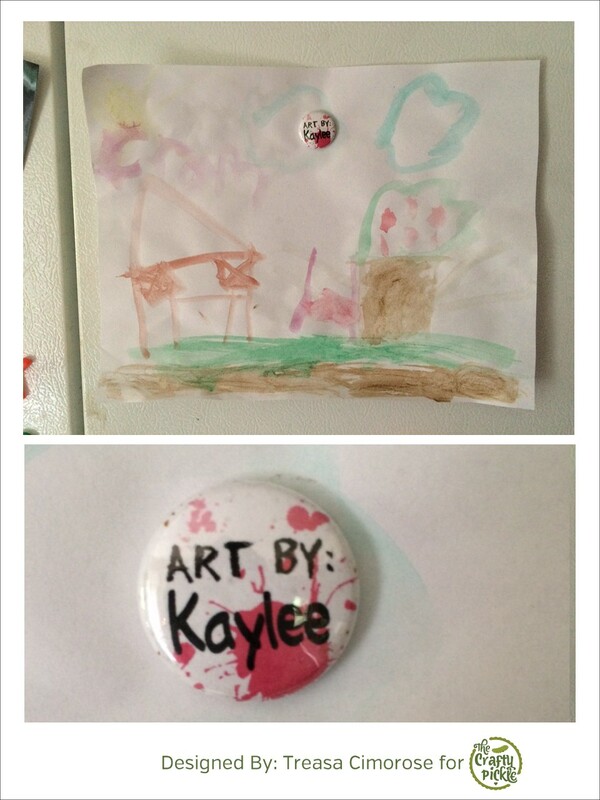 I hope this inspires you to get the children in your life more involved in your PL album. Wearable Flair? Yes!!!! Hello FlairTastic Friday! 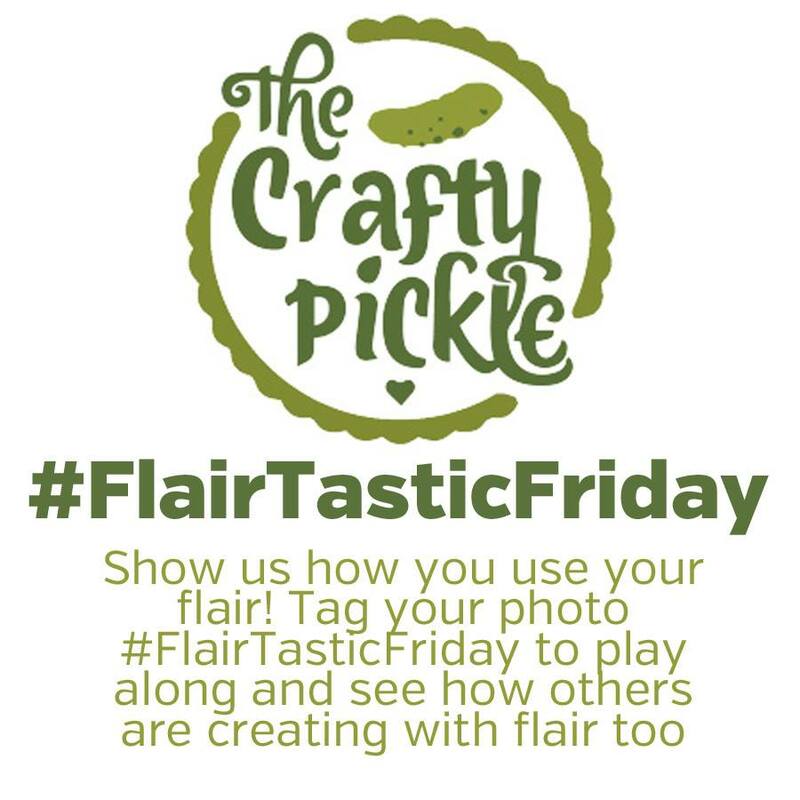 This week we will be showing you a few ideas taking flair off your pages to actual wearable art! 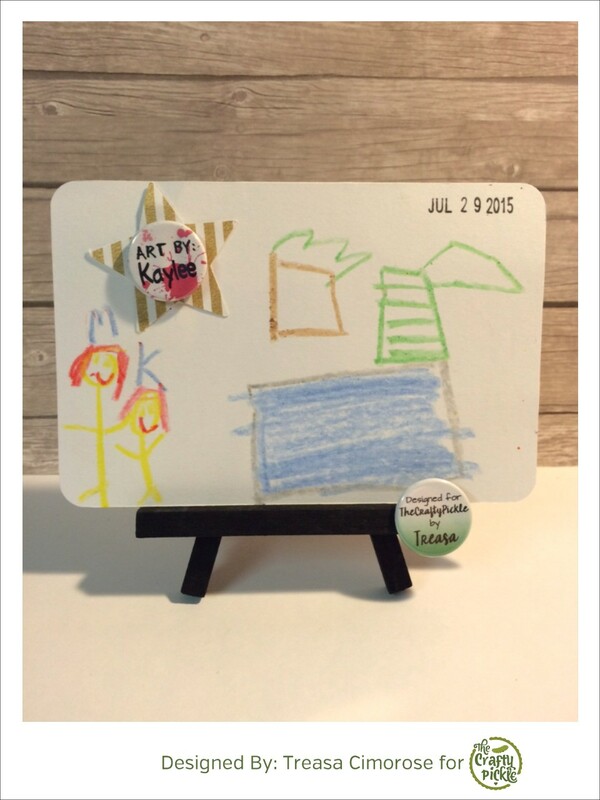 First up we have an adorable project created by our designer Joann! Joann added some flair from our Cute Bugs set for her adorable little girl. How precious are these? I think they would be great in the center of a bow as well. Totally adorable, Joann!! Next we have a few ideas that have caught our eye… Take a look! 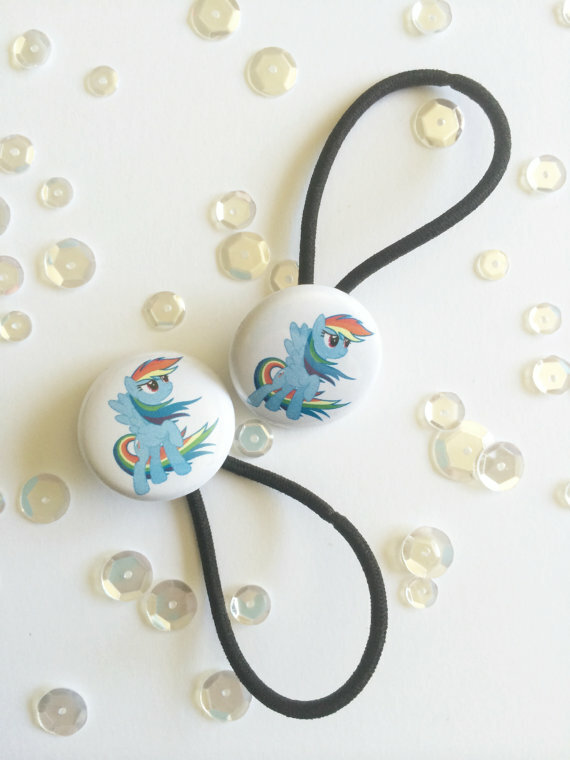 These adorable flair ribbons are just too adorable and would make a perfect wearable award or celebration pin. Love this for birthdays, weddings, achievements, and so much more. These were designed by Page Evans. 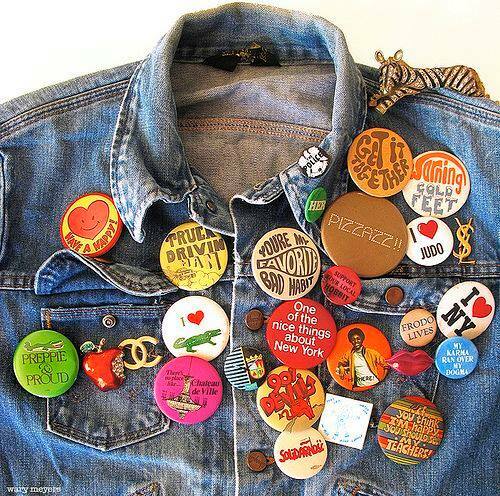 What a great idea of wearing a bunch of pin back buttons of the same theme? We saw this photo on pinterest and fell in love with it! 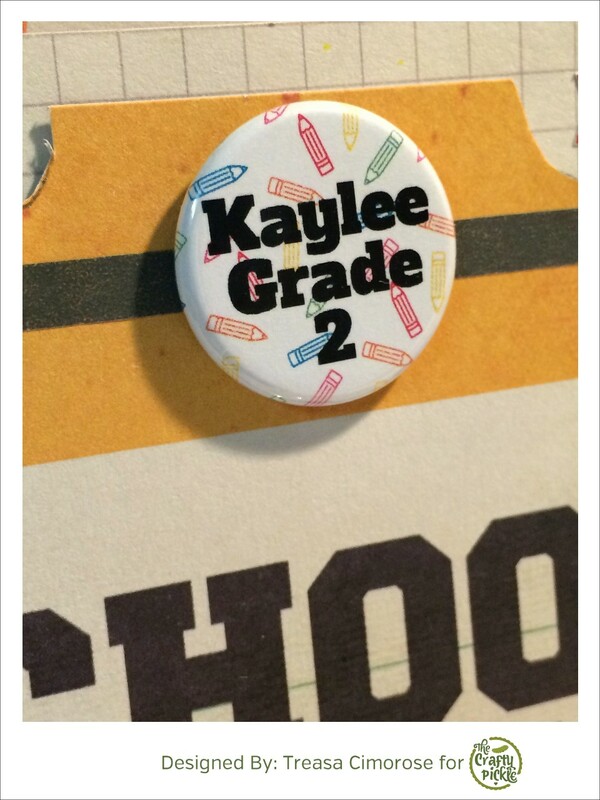 I love that these are kid designed buttons. You can read more about it HERE. For a smaller option our “Make your own Flair Buttons” would be a similar and fun idea. Last but not least we have a photo share from one of our very own customers! 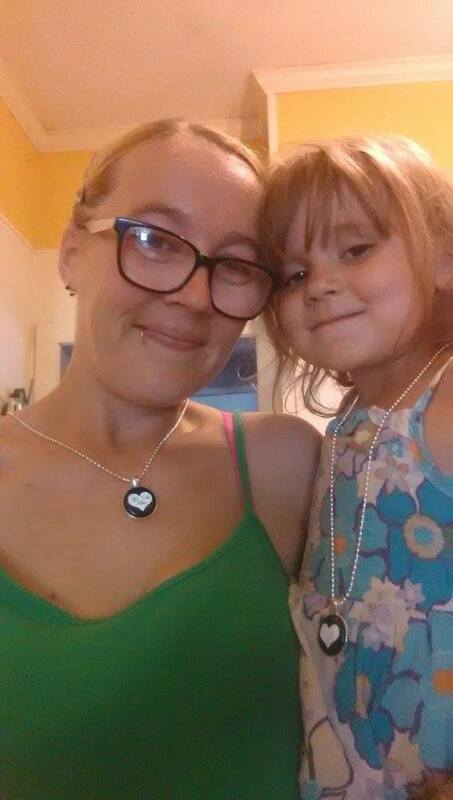 Customer Liz ordered a custom button necklace with her loved ones names inside our glitter heart flair, we thought her daughter needed one as well. Aren’t these two just adorable! Not only do we carry necklaces, but these adorable Hair ties as well. We can make these hair ties with any flair in the shop or even a custom design. 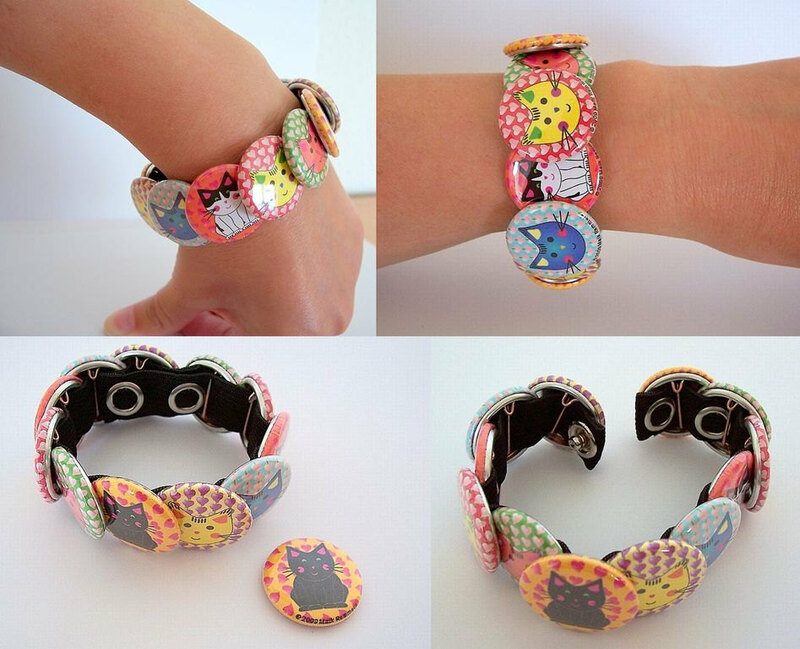 Keep your eye out for our new wearable interchangeable magnetic jewelry coming to TCP’s shop in just a few weeks! It must be the kid in me that loves flair so much. I loved wearing it then and I love wearing it now. Adding it to my papercrafting is an added bonus. How do you wear your flair? 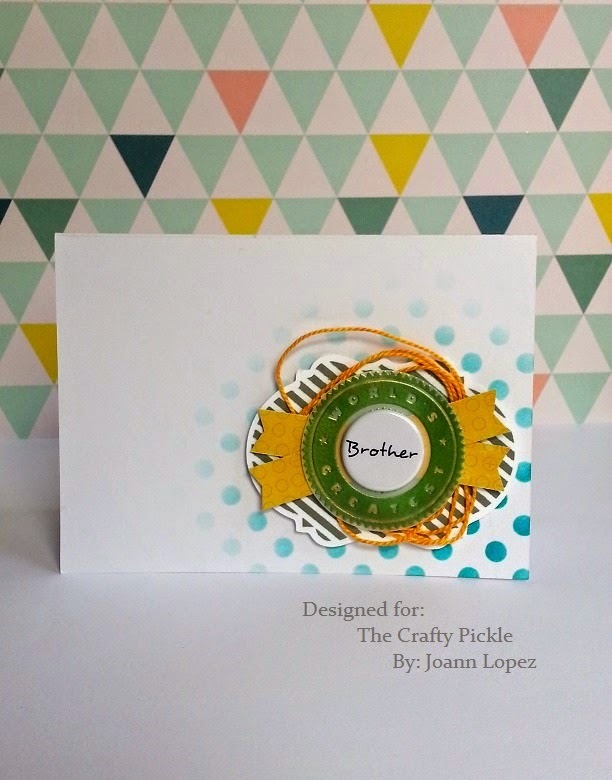 Stop by The Crafty Pickle Etsy Shop if you haven’t been by recently. We will be releasing a few little things between now and our next big release. We will also be having a big TCP Birthday celebration in August with giveaways and a brand new exclusive foil flair! 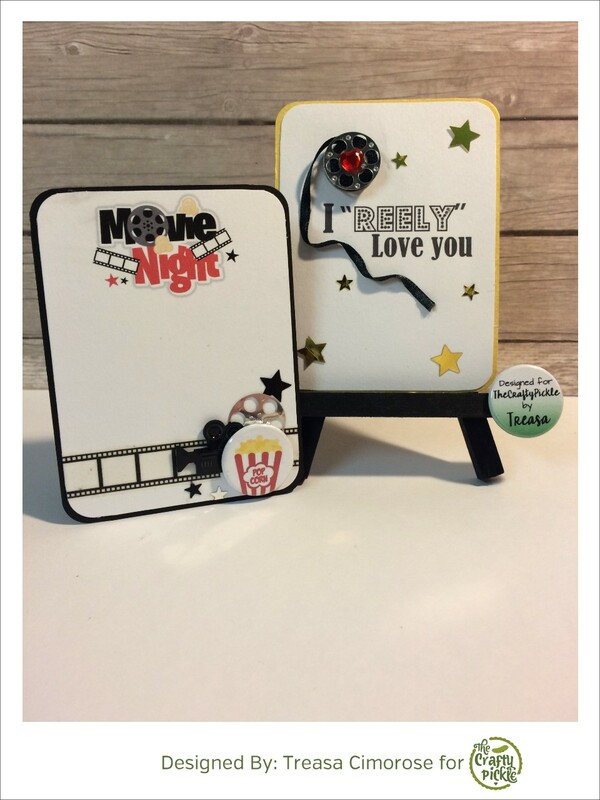 Hi there, its Treasa here today to share with you some cards I created using flair from the Movie Night set and the Cinema Relish Mix from The Crafty Pickle Shop. 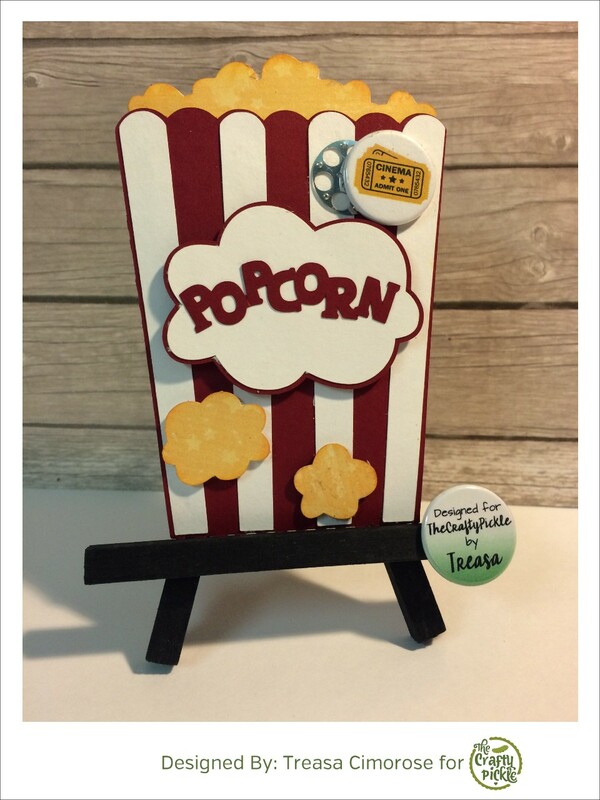 First up I created a popcorn gift card holder. I used the movie tickets flair from the Movie Night set and the reel from the Cinema Relish Mix. You pull the popcorn out and the gift card is tucked up inside. I also added a star from the Cinema Relish Mix as well as some Film Strip washi tape from the shop. I also wanted to create a couple cards for my Project Life album. I created the base of both cards digitally then went to town adding some items from the shop. 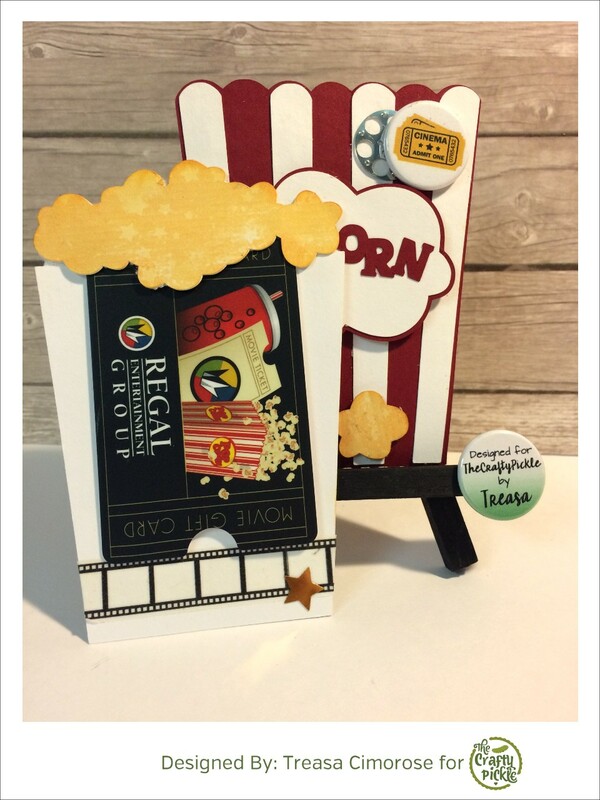 For the Movie Night card, i used the Popcorn flair from the Movie Night set and a reel, movie camera and stars from the Cinema Relish Mix as well as used some of the Film strip washi tape. For the “I Reely Love You ” card, I put two reels from the Cinema Relish Mix together and added some thin ribbon to look like the film . I also used some of the stars from the Cinema Relish Mix too. This Father’s Day will be particularly hard for me and my family this year. We lost our Dad in February to a traumatic accident. PL album. I have to say when I first saw them , I cried and I couldn’t believe how perfect and how special these were. First I wanted to create a card using this My Favorite Memory of my Dad flair so I could document that memory of my Dad. 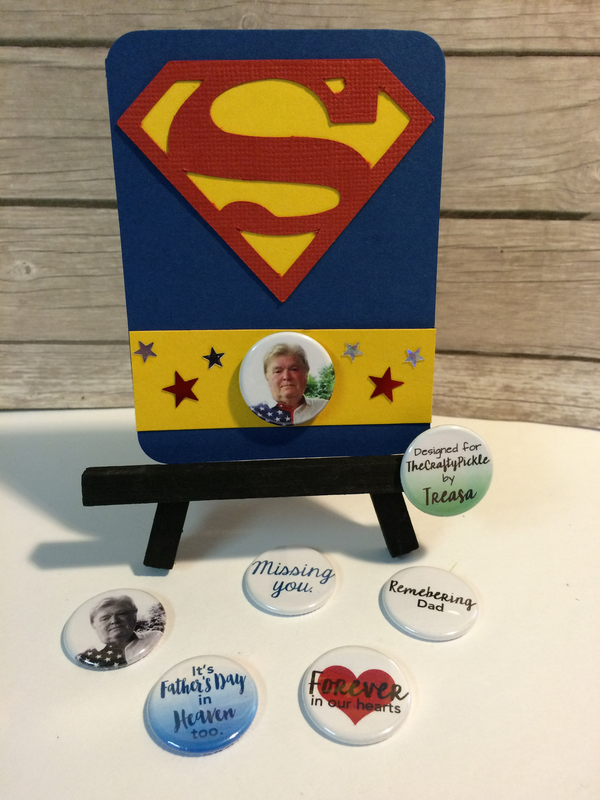 a card to honor our ” Superman” using a custom flair of a photo of my Dad. Lastly I wanted to share a lovely gift that Taniesa sent to me for my family and me to wear on Father’s Day, how special is this ribbon and its something we could wear every Father’s Day!! 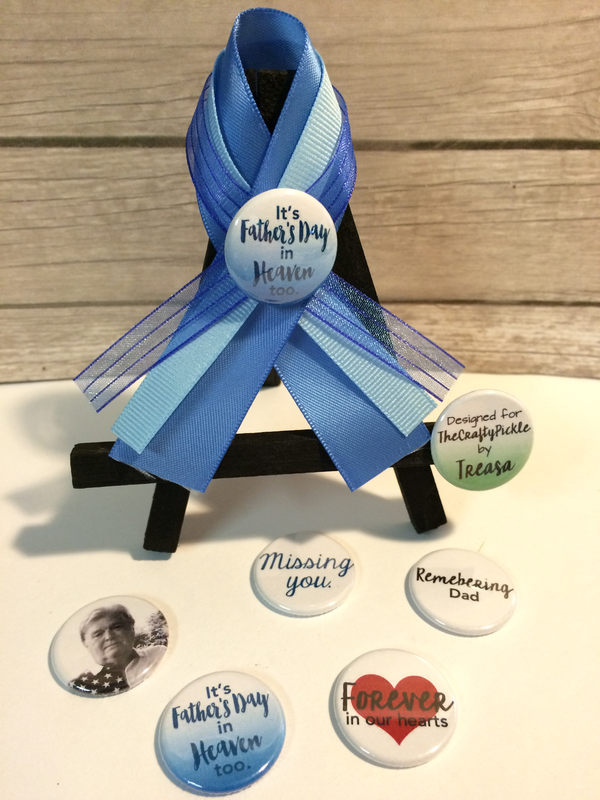 I love how special these custom flair are and how they will help us celebrate and remember my Dad on this Father’s Day. her know what you are looking for. 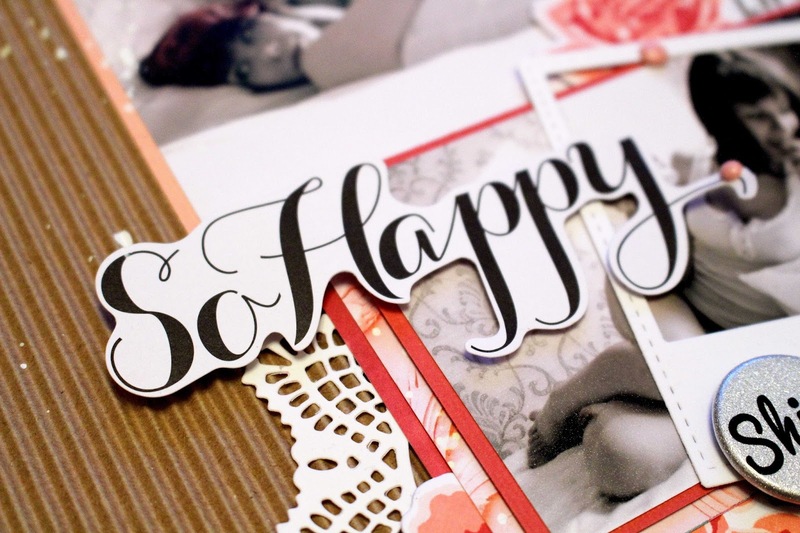 Some Fun Cards and Blog Hop Winner!!! Here are two cards that Stephanie designed…..The first one is a graduation card for her niece using the graduation confetti sequins. The second one is a congratulations card for her son for an outstanding school year!! 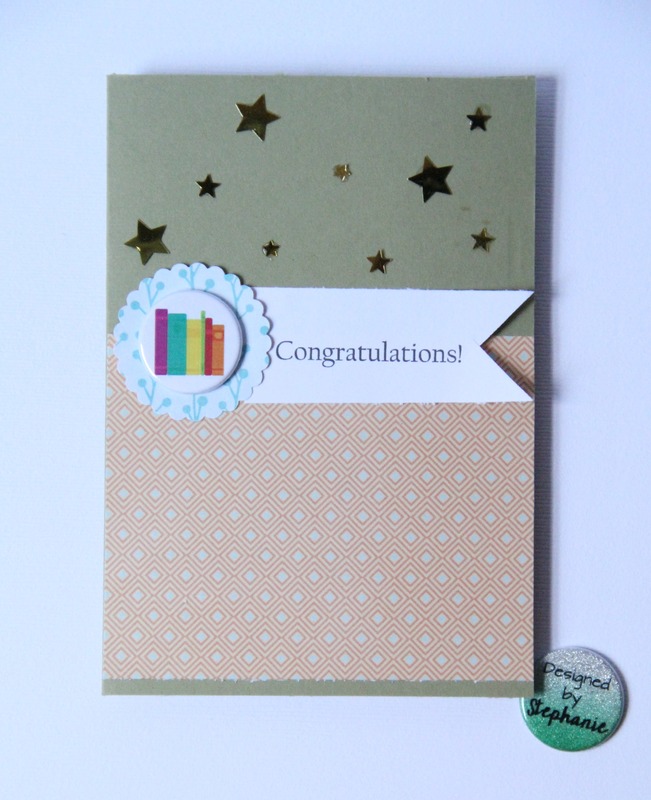 I used the stack of books flair from the “I love books” set & the star sequins from the cinema confetti & sequins set!!! Liz you will be receiving an email from us with your Gift card code to use in the store! Thank you for all that entered!! A Layout with a bit of Flair! Two posts in one day means it’s a GREAT Friday! Today our designer, Cathy, is showing off one fantastic layout using TCP flair! Check it out! 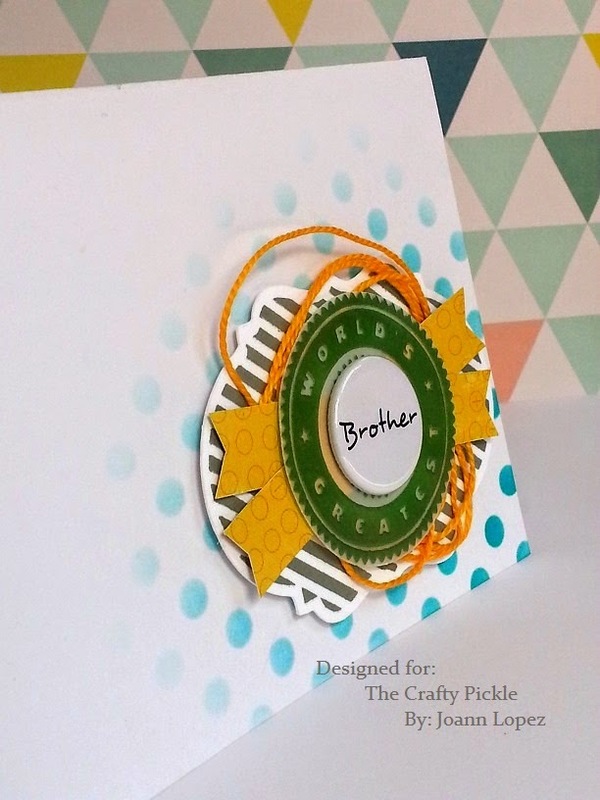 Hi everyone, it’s Cathy here again with another layout for The Crafty Pickle. One of my favourite embellishments to use on a layout is flair badges, and since I have so many awesome ones from The Crafty Pickle I figured I’d see how many I could fit on a page! I mean, what’s better than one flair badge? Well in this case six flair badges! 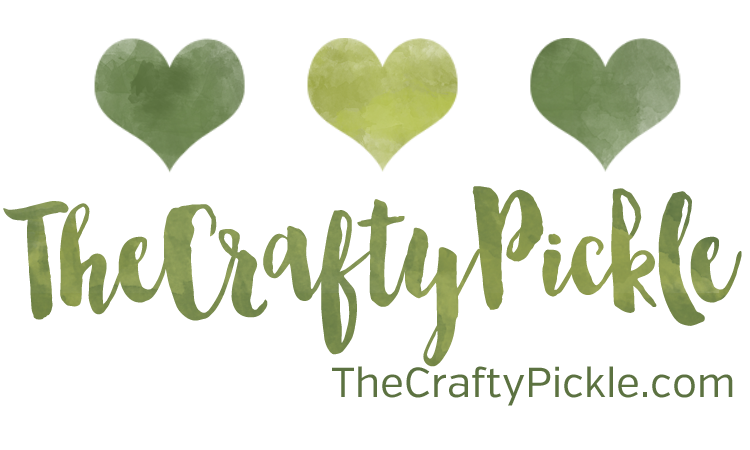 Now right now Taniesas’ wonderful shop is on a short break, but when it’s up and running again be sure to check out the awesome collections I used to create my layout! I also used some stamps from Close To My Heart to round out my design! In order to achieve dimension with my badges I used hot glue for some and foam squares for the others so that I could layer them. Don’t be afraid to grab some of your stash of badges and pile ’em up high! The more the merrier! I think this is one of my favorite’s of yours, Cathy! Thank you so much for sharing! Today we have a card for you by our fabulous DT member, Joann! 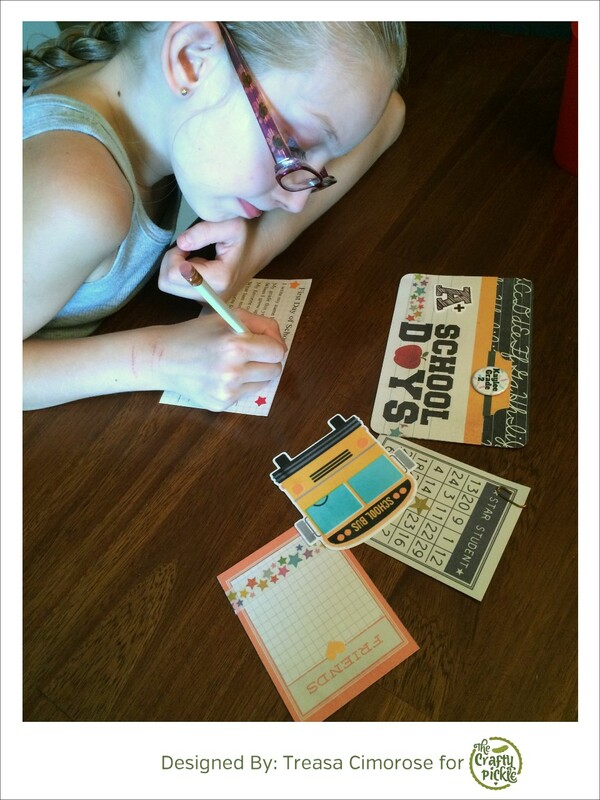 She has a great card using both CTMH product and TCP flair! Take a look. Hi, thanks for stopping by today! I am sharing with you another masculine card. A quick tip that I found was, pick your color combo out first and you’ll find out that the card will come together quite quickly. I also used the stamp set Perfect fit- Dad Holiday to stamp the “World’s Greatest” on some vellum, finished the card off by cutting a few banner shape pieces, some yellow orange twine and of course some TCP Family Themed Flair! Hope you enjoyed today’s card and as always thanks for stopping by!! 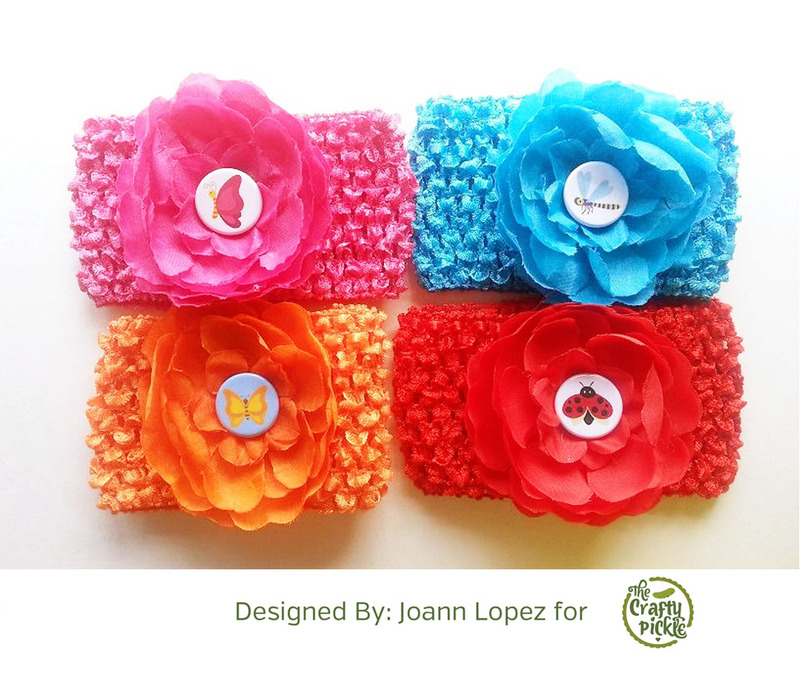 Thank you so much for sharing your creativity with us, Joann. This has to be one of my favorite cards! I hope your having a great week. Today our DT member, Julie, is sharing a layout all about herself! How often do we forget about documenting us because we are so busy documenting our family and friends? Take a look at her fabulous layout! Not long time I found these photos in my box-with-old-photos and decided to create the Layout with kraft background. I added one more colour and made the LO using only brown-kraft, pink and white colours. Thanks for stopping by and have a nice day! 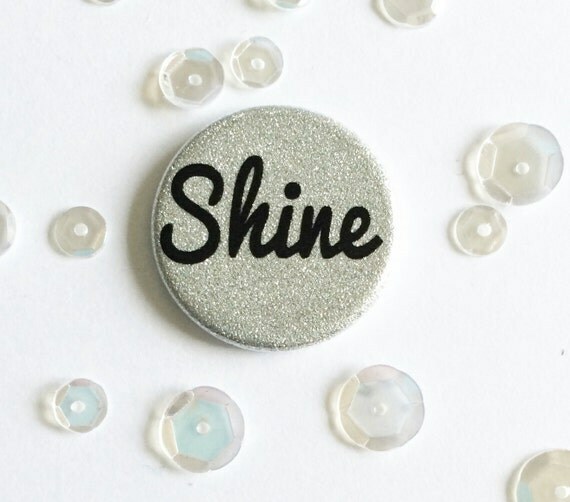 You definately “Shine” Julie! Thank you for sharing with us!